Fifteen year old Skylark Martin lives in St. Kilda, Australia with her father and ten year old brother, Gully (short for Seagull) above her father’s record store, the Wishing Well. Her father’s business isn't booming, but the nostalgia that it carries is far more valuable. Left by their mother to pursue her art, Sky and Gully find their own creative ways to fulfill their time, especially Gully who refuses to remove a pig snout mask and loves to investigate. Sky meanders somewhere between utter loneliness and emulation of her older friend Nancy until she meets Luke, the mysterious new employee of her father’s store who spends his nights plastering posters of his dead sister, Mia Casey, in the streets around the store. After a brick explodes through the store window, Sky, with the help of Agent Gully, must figure out what happened while also uncovering details of Mia’s tragic death. There are so many aspects to this book that make it successful. Most importantly, Sky is a character with whom many teens will be able to immediately connect. She is witty and real; she lacks confidence on so many different levels: with herself and her outer appearance, with the lack of a mother figure, and with her relationship with Luke. Her uncertainty and bumbling adolescence are her most endearing qualities that keep her grounded. Even though Gully maintains most of her father’s attention, she never loses sight of what it means to be a big sister, of empathizing with Gully’s awkwardness. 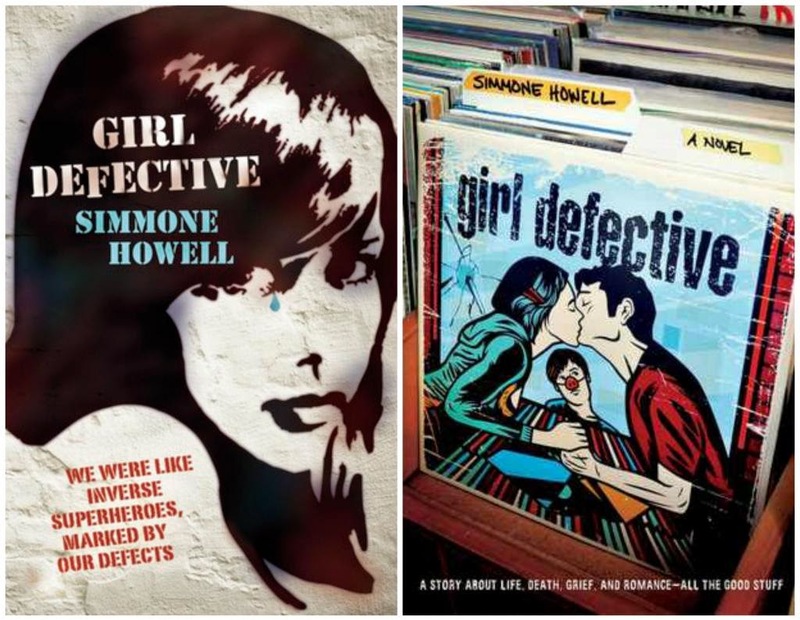 Girl Defective is a tried and true coming-of-age story that explores the teenage dynamics of love, both familial and romantic.